The most boring thing on your plate is about to get exciting. I’m talking about that unwanted, castoff garnish found on dinner plates everywhere – parsley. * In Germany and the United States it is believed that if parsley would not grow in your garden, someone in the household will die soon. *Virgins could not plant parsley or they would risk being impregnated by the Devil. 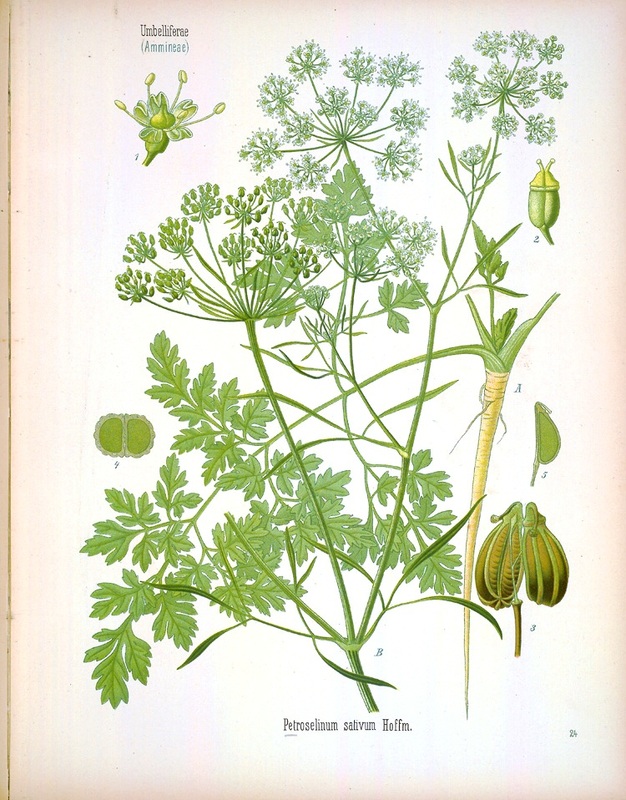 *When parsley was planted, it was believed that the seeds travelled back and forth between it’s planting spot and the devil. Next time you encounter parsley on your dinner plate, don’t push it to the side, but regard it as a form of memento mori instead. Vase Francios (detail of neck: Atalanta, Calydonian boar hunt and funeral games for Patroklos). 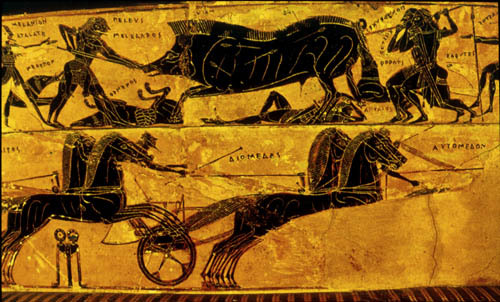 Black Figure volute krater by Kleitias & Ergotimos. ca. 570 B.C. Florence, Museo Archeologico, 4209. This entry was posted in Uncategorized and tagged Death, folklore, funeral games, funeral rites, Greek, herbs, parsley, Roman, superstition. Bookmark the permalink. Fascinating! I haven’t seen parsley on a plate since I was a child eating at Shoney’s with my grandparents. I never imagined it had such an interesting history. Hi Brian, Thanks so much for the comment and brining this horrific event involving parsley to my attention. Expect a post on it ASAP.